We sit at the edge of disruption, embracing the innovation curve that is driving new possibilities, new markets and new risks. MeasuredRisk is leading the path to help leaders of private and public sector organizations triangulate risk through advanced data science. Our aim is to make sense of the world around us, and to build mechanisms that enable a more predictable, sustainable and prosperous future for all. MeasuredRisk was created to solve one of the world’s most complex problems around asserting the implications of risk, in real time, for organizations that operate around the globe. 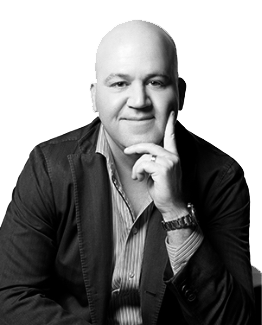 Tom Albert is the Founder & CEO of MeasuredRisk. Albert is a transformative leader who has been bringing business relevance to IT and Security for over 17 years. Known for identifying disruptive technologies and building innovation across the cyber landscape, Albert is known as a pioneer in creating highly differentiated solutions to protect information assets. Starting his career on Wall Street working with top global financial institutions, Albert transitioned to various leadership roles within Oracle, Symantec and Rainbow Technologies. Joining Cisco’s team in 2007 Albert managed the National Security Operation, a $320 million dollar line of business within the U.S. Federal market segment, and managed the U.S. Federal Civilian security business. Albert eventually became Cisco’s Senior Advisor for cyber security and was instrumental in building their go-to-market strategy, solution portfolio, and crafting messaging frameworks which are still in use today. Albert also served as Vice President of Corporate & Business Development for Lancope where he worked on the creation of strategic partnerships spanning global markets; eventually identifying a route to market that drove massive growth resulting in the $452M acquisition by Cisco in 2015. Building MeasuredRisk, Albert redefined how business and government leaders see risk. MeasuredRisk has pioneered the Risk Inference market through the introduction of it’s flagship platform, View. Within one year of it’s founding, MeasuredRisk has been named one of the Top 10 cyber security companies in the world by several leading publications and industry analysts. — Albert’s work as an industry expert and frequent speaker on the topic of cyber security spans major news networks and industry publications. Tom Albert holds a B.A. from Pennsylvania State University. 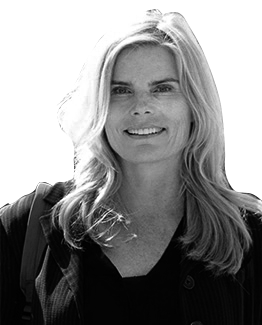 Mariel Hemingway operates as MeasuredRisk's Chief Brand Ambassador in addition to leading our Human Optimization Practice (HOPe). Renaissance woman Mariel is not only an iconic Academy Award nominated actor from a celebrated family, she is a prolific author, adventurist, eco activist, healthy lifestyle and mental health advocate, a yoga video star, an entrepreneur and a much sought after speaker focused on mind-body-spirit optimization and purposeful living.In a high-tech world, Mariel is considered an expert in high-touch solutions that facilitate the greatest sense of personal power, life balance, joy, fitness, authenticity and peace of mind. She’s both a devoted teacher and student in this holistic concentration. Professor Smith has been privileged to have had the opportunity to influence the careers of many students, as well as professionals in business and academia, and to contribute to the improvement in performance of business organizations. He has accomplished this: -through his work in public accounting in South Africa, - as an academic at five major universities in the U.S., and - through his involvements with a great number and variety of business and other organizations in the U.S. and abroad. 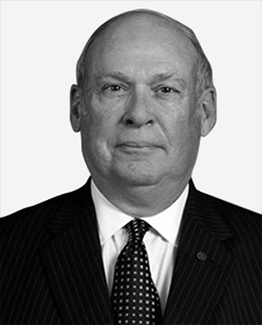 He is the KPMG Professor Emeritus of Accounting at Penn State University, having obtained MS and Ph.D degrees from Penn State, and he also holds the CPA (Texas). These academic and professional qualifications, taken together with his great variety of business, business-related and other experiences, provide him a strong background to be able to contribute in a meaningful and effective manner to MeasuredRisk with its needs under so many different headings. 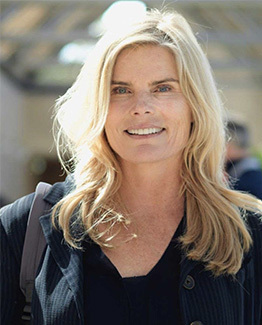 Born in Cape Town, South Africa, Professor Smith obtained a BComm degree from the University of Cape Town, and also qualified as a Chartered Accountant (SA). He has served as a consultant to a number of business organizations in the U.S., and as an expert witness in court cases. His experiences have included executive development programs in the U.S., and internationally in Australia, Canada and France. He has also delivered accounting educational programs in Lithuania and Kazakhstan – for professors and others from former Soviet Union countries. 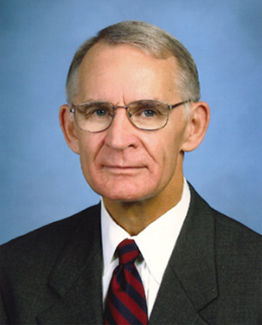 In 2005 Professor Smith received the Distinguished Achievement in Accounting Education Award from the American Institute of CPAs, and in 2007 he was named the Accounting Alumnus of the Year at Penn State. Except for service in NYC as a Professor in Residence in KPMG’s Department of Professional Practice, June, 2009 – June, 2010, he continued teaching at Penn State until May, 2012. Co-Founder, Internationally respected Geo Political and Intelligence Risk Expert. Yuri Koshkin, Co-Founder, offers almost twenty years of advisory experience working with clients in Russia, Ukraine, and throughout Eastern Europe and Central Asia. Dr. Koshkin is a native of Russia and is currently based in Washington, DC, where he co-founded Trident Group in 1996 with Yevgeny Pshenichny, a Russian-trained lawyer who heads Trident’s Moscow office. Under Dr. Koshkin’s leadership, Trident Group has advised many large US and global companies in a variety of key sectors, including energy, aerospace, telecommunications, investment and financial services, insurance, and filmmaking and entertainment. The firm has also led a robust Foreign Corrupt Practices Act (FCPA)-related practice and consulted on compliance issues, developing a reputation for highly ethical methods and discretion. Dr. Koshkin launched Trident Group following a career in the Former Soviet Union’s military and intelligence communities. He was based both in the Soviet Union and overseas during his military service, during which he participated in several multilateral missions in the US and abroad. 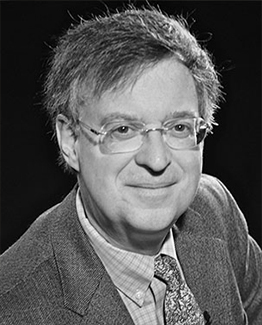 Since moving to the US in 1989, Dr. Koshkin has worked as USSR Director of Development for the New York-based company Anthony Potter Productions, Inc. and Director of Development for Russia at the strategic communications firm PBN in San Francisco, California before founding Trident Group in 1996. He is now a US citizen. 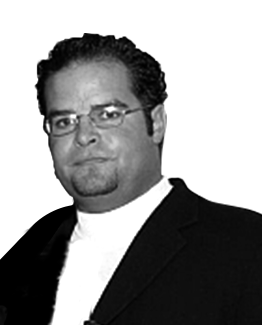 Tony Alagna is an early pioneer of disruptive cybersecurity technologies, having built platforms for anti-phishing and anti-malware that have been heavily utilized around the world. In the year 2000, Alagna founded WholeSecurity in his early twenties, raising over $18.5M of venture capital into the company, captured the endpoint security market and eventually sold the company to Symantec when he was 27 years old. WholeSecurity was named one of Fortune's Top 25 Breakout Companies and was featured often in Forbes Magazine. Following Wholesecurity, Alagna continued to innovate while raising an additional $35M to develop and support various business and philanthropic initiatives. Alagna holds an BS in MIS from University of Texas. 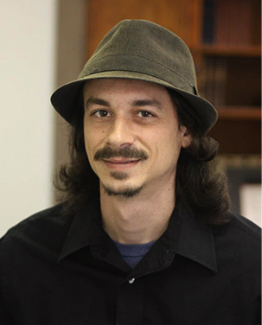 Gregory “mobman” Hanis serves as MeasuredRisk’s Principle Research Scientist, where he is chartered with advanced threat research and techniques. Gregis the original author of SubSeven, the Remote Administration Tool (RAT) software. Greg has been featured in Rolling Stone Magazine, and CBS Miami on various occasions. Active in the cyber community since his teenage years, he sponsors and volunteers CyberPatriot as a way to help aspiring young cyber professionals avoid costly mistakes he knows all too well. He is a patent holder and former start-up entrepreneur nominated for the North Alabama's 2017 People's Choice awards. Greg gives talks and trainings around the country sharing his knowledge with the public and private sectors. 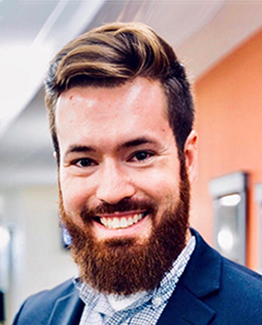 Former board member of SFISSA (South Florida Information Systems Security Association), he founded and co-leads HACKBAMA as a way to encourage and cultivate local cyber talent. He has competed in many cyber competitions, recently took 2nd place in the professional division at the Von Bran Center "Cyber Cup" which was held during the National Cyber Summit Info-sec specialist whose qualifications include a degree in computer science; detailed knowledge of security tools, technologies and best practices. Nine years of experience in the creation and deployment of solutions protecting networks, systems and information assets for diverse companies and organizations. Other specialties include programming, database, risk management, wireless, networking, world wide web, operating system vulnerabilities, exploitation and forensics. NCAA DI golfer, Errol graduated with honors from VCU. Concurrently, he created two startup ventures; one being a hedge fund where he raised close to $1,000,000. He was on the board of the Finance Real Estate & Insurance Promotion & Tenure Committee at Virginia Commonwealth University. 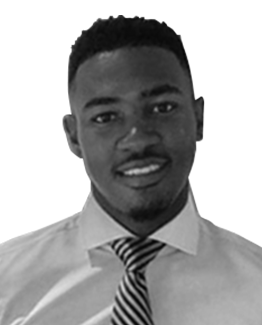 Following graduation, Errol started consulting and developing a diverse portfolio of startup companies. He has effectively used his network to help form strategic alliances, help make key hires for teams, and raise capital. 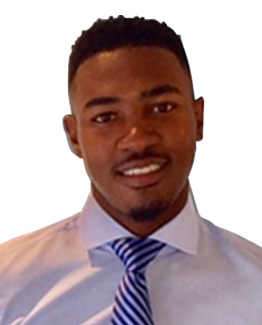 Errol is highly skilled and has a passion for capital markets. He first started his career at Lime Rock Partners in Houston, TX. Additionally, he served as an analyst at BW Capital Advisors, a merchant bank raising capital for lower middle market companies. Most recently, Errol founded Locus Global to continue his consulting work with high profile F500 executives and business leaders throughout the United States. Mr. McDermott has over 10 years of investment experience in early-stage companies. Drawing from his background in medicine, education, national security and intelligence, his main focus has been on investing in and advising companies which creatively improve individual and population health. 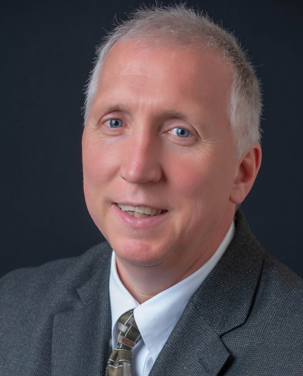 Mr. McDermott serves as Principal of MeasuredRisk and sits on the Board of the Center for Public Service and Scholarship at Shenandoah University. Eray Damar is a creative, passionate rule-breaking designer with over a decade of experience as a passionate entrepreneur. 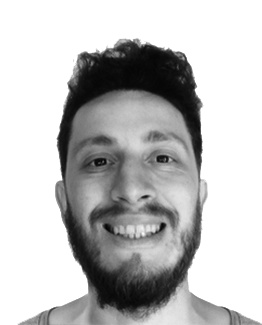 Being a digital nomad with significant international experience in graphic design, web design, branding, he aims to level-up the MeasuredRisk brand and push it beyond the competition. He is a multi-disciplinary talent, with roots in music production and advertising. Damar’s internationally marked design experience provides him with a holistic view of on-point solutions in any kind of graphic, web design or UI application. His professionalism reflects in vast project involvements with various businesses and other organizations spanning 3 continents. Known for his broad field of expertise, Damar was also involved in projects for international brands like McDonald's, Fiat, Samsung. Jim Pearson was blessed with the health and intelligence to serve our country in two combat tours. Jim served in Operation Just Cause in Panama where his intelligence compilation efforts ended with the conviction of Manuel Noriega. Pearson quickly became a valued member of the intelligence community which culminated with an assignment to the Special Operations Command. As an intelligence analyst, the sergeant was responsible for producing Special Operations Forces target intelligence packets. Using all sources of intelligence, Pearson constructed several of these in-depth target manuals. During Operation Desert Storm, Pearson served as a targeteer with Special Operations Command Central. He was tasked with selecting drop sites for the largest explosives used during the campaign, effectively extinguishing all hope for the enemy. During his final years of service, Jim was appointed Platoon Sergeant of the Production platoon assigned to the 193rd intelligence brigade. Pearson oversaw the daily production of intelligence reports disseminated at echelons above corps and clearance levels above top secret. Jim strives to dedicate his life to the protection of the country and the people he loves. General Lance W. Lord (born July 12, 1946) is a retired four-star general in the U.S. Air Force, and was the Commander of Air Force Space Command at Peterson Air Force Base in Colorado. General Lord was educated at Castle Heights Military Academy and Otterbein College, where he earned a Bachelor's Degree and graduated from the ROTC program. 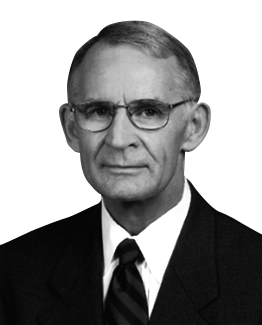 He later earned a Master's degree from the University of North Dakota. After entering the Air Force in 1969, he served four years of Minuteman II ICBM alert duty and then completed a series of Air Staff and joint duty assignments in strategic missiles. He directed the Ground-Launched Cruise Missile Program Management Office in Europe. He was a Military Assistant to the Director of Net Assessment in the Office of the Secretary of Defense and represented the Air Force as a research associate in international security affairs at Ohio State University. General Lord commanded two ICBM wings in Wyoming and North Dakota. In California he commanded a space wing responsible for satellite launch and ballistic missile test launch operations. He served as Director of Plans and as Vice Commander for Headquarters Air Force Space Command. The general led Air Force education and training as Commandant of Squadron Officer School, Commander of 2nd Air Force, Commander of Air University and Director of Education for Air Education and Training Command. Prior to assuming command of Space Command, he was the Assistant Vice Chief of Staff of the Air Force. He retired on April 1, 2006. In 2004 while serving as Air Force Space Command Commander, General Lance Lord announced the introduction of a new space badge. The new combined Space and Missile Operations Badge, informally known as "spings" (SPace wINGS), "Space Boomerang", or "Space Blade" replaced the Missile Badge for operators. In addition, the new badge is no longer limited to pure space and missile operators/maintainers, but is also awarded to 61XX, 62XX and 63XX (officer) AFSCs who have performed space/ICBM acquisition duties, even if they were non-operational in nature. 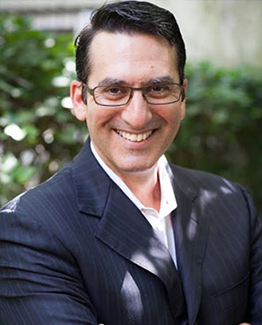 Dr. Alexander Stein serves as a trusted advisor to C-level executives, boards, and entrepreneurs, and is one of the world’s foremost authorities in human risk and a pioneer of psychodynamic intelligence analysis. Drawing on his extensive experience, training, and expertise as a consultant and psychoanalyst, he combines clinically-informed insight with practical business strategies to address challenging people issues in organizations, with particular focus on leadership development, transition, and succession; boardroom and senior team dynamics; senior-level assessments; and corporate culture and ethics. 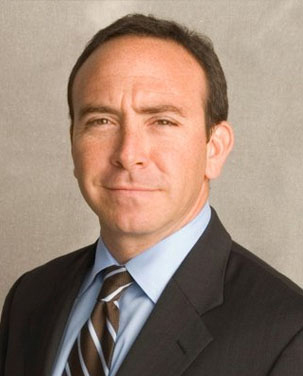 Dr. Stein is Founder of Dolus Advisors, a boutique consultancy providing actionable predictive insight regarding human factor risks in organizational ethics, culture, compliance, and governance to help senior business leaders and boards proactively detect, mitigate, and respond to executive misconduct, insider threats, fraud, and white-collar and cyber malfeasance. 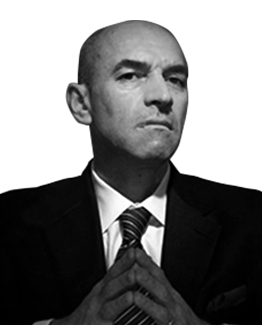 He acts as specialist advisor to international litigation, investigations, intelligence, and cybersecurity firms to develop sophisticated 3D profiles and precision forecasts of fraudsters or other malicious actors and their networks of affiliates and collaborators, and also consults to technology companies regarding the deep psychological dimensions of ethical AI and autonomous decision-making agents. Dr. Stein is a widely published and cited writer, thought leader, and expert commentator, and frequent conference keynote speaker and panelist. Rob Dannenberg is a 24-year veteran of the CIA, where he served in several senior leadership positions, including chief of operations for the Counterterrorism Center, chief of the Central Eurasia Division and chief of the CIA’s Information Operations Center. Dannenberg is a member of the Board of Advisors to the Director of the National Counterterrorism Center and is a senior fellow at the GWU Center for Cyber and Homeland Security. He is now an independent consultant and speaker on geopolitical and security risk, after serving as the managing director and head of the Office of Global Security for Goldman Sachs, and director of International Security Affairs at BP. 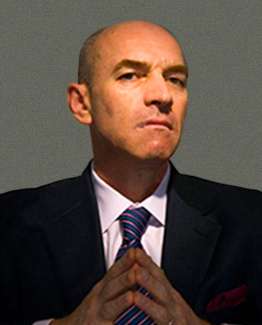 Richard Stiennon is known as one of the best security analysts on the globe. 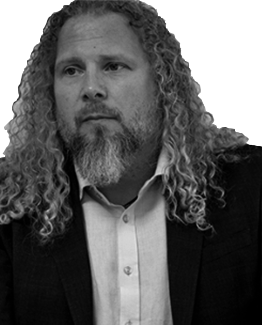 He is the Chief Research Analyst of IT-Harvest, a leading security research firm, and Executive Editor of securitycurrent, a security news and analysis community for CISOs.He is author of Surviving Cyberwar (Rowman & Littlefield, 2010) and the soon-to-be-published Cyber Defense: Countering Targeted Attacks. He also wrote and published UP and to the RIGHT: Strategy and Tactics of Analyst Influence (IT-Harvest Press, July 2012). Prior to founding IT-Harvest, Richard Stiennon was Chief Marketing Officer for Fortinet, a security infrastructure vendor. Before that he was VP Threat Research at Webroot Software. In the security world his contributions are vast and widely known. 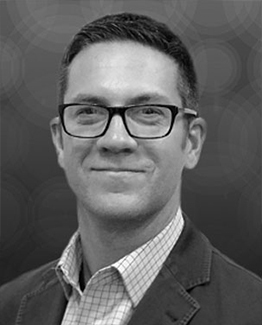 We're lucky this is his chosen field.Phillip Redman is vice president of mobile solutions and strategy at Citrix. Prior to joining Citrix, he was vice president and distinguished analyst at Gartner where he advised Fortune 500 companies on mobile strategy and adoption. He speaks in front of thousands every year at many global events. It’s a motto that has defined Michael’s professional career. In the early 1990s, he started out as a Quantitative Analyst at Lehman Brothers, a position that rotates analysts through various parts of the firm in order to expose them to everything from risk modeling to identifying investments for bond portfolios. After more than 16 years working for some of the best global investment management firms in the business, he decided to move from Wall Street to Main Street and set up his own shop, Capital Innovations, in a quiet Wisconsin town outside of Milwaukee. Michael says that starting an asset management firm in 2007 was less like running a marathon and more like facing down an Ironman Triathlon. After all, the world was headed for a major financial crisis; housing prices would fall nearly 32 percent and unemployment would climb to more than 9 percent before it was over. However, Michael knew he had something to offer that big, style box-focused firms did not: real solutions to client problems and a desire to advance societal development worldwide. In the last 10 years, he was nominated as the first Chairman of the UN Principles of Responsible Investment initiative, authored a best-selling handbook for infrastructure investing, and has been a frequent guest speaker at CFA Society events. He manages an impressive institutional client roster that includes well-known global corporate defined benefit plans, thought leaders in the Canadian non-profit sector, union labor retirement and annuity benefit plans, as well as numerous global sub-advisory mandates. 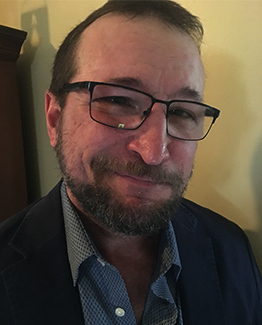 Tom Bain is Vice President of Marketing for Morphisec. He leads all Global Marketing initiatives for the company, including strategic go-to-market, analyst, market research, communications, digital marketing, demand generation and partner marketing. 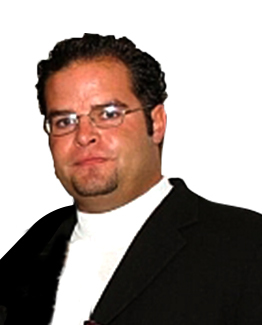 He has over 15+ years of experience with leading IT Security organizations. Previous to Morphisec, Tom was Chief Marketing Officer of Centripetal Networks, a threat intelligence gateway vendor. Prior to that, he served as Vice President, Global Marketing for next-generation endpoint security firm CounterTack. Tom has also worked with many leading security brands including Security Innovation, Q1 Labs (an IBM Company), Application Security, Inc. (a Trustwave company), AffirmTrust, Wave Systems, Sophos, CA and Red Hat. His strategic experience in cyber spans endpoint, database, network and application security, security services and security training. Tom is a frequent presenter at cybersecurity and investor conferences and his articles have been featured in numerous publications. He earned an MS degree in International Relations and Public Affairs from UMASS and a BA in Communications from Rhode Island College. Tom sits on the advisory board for multiple emerging technology organizations. Chase Hughes was raised in Houston, Texas and attended a military academy before joining the U.S. Navy in 1998. While in the U.S. Navy, Chase has served aboard Naval ships and in the correctional and prisoner management departments. 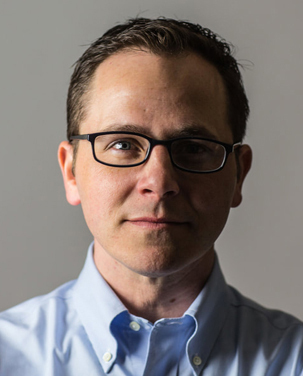 Chase is an author and speaker on behavior analysis, body language and behavior engineering. 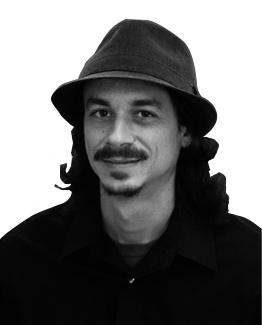 Chase founded Ellipsis Behavior Laboratories in 2011 and is the creator of the Behavioral Table of Elements; the most groundbreaking behavior analysis tool of the century. He is also the creator of other life-saving systems such as 'The Hostile Hospital' and 'Tactical Psychology'. Chase frequently develops new programs for the US Government and volunteers his skills in training members of anti-human trafficking teams around the world. He has published two books on human behavior and over 29 articles and papers on behavior and behavior analysis. Chase is the bestselling author of The Ellipsis Manual, and is currently working on his next book, 'Authority: the loophole in all of us'. Bryan Earl is an attorney and seasoned investigator who currently occupies the position of US Head of Complex Investigations, Financial Threat Mitigation at HSBC Bank in New York City. 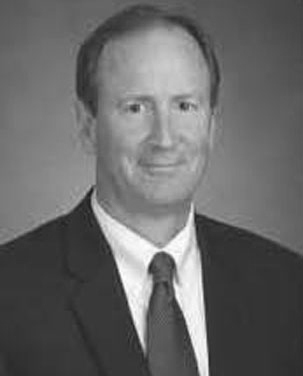 Before joining HSBC in 2017, Mr. Earl had a twenty-one year FBI career as a Special Agent, Supervisory Special Agent, Assistant Legal Attaché, Legal Attaché and Assistant General Counsel at the Federal Bureau of Investigation, serving in the FBI’s San Francisco Division, Cyber Division, and as an embedded attorney in the FBI’s Operational Technology Division, as well as in overseas posts in Kiev, Ukraine and Moscow, Russia for several years. The focus of Mr. Earl’s law enforcement career was the developing criminal threat emanating from the former Soviet Union post-1990 as it morphed from an organized crime/public corruption/money laundering threat to a cyber espionage and cyber-enabled financial crime/money laundering threat. Before joining the FBI in 1996, Mr. Earl served as an intellectual property litigation associate at the Washington, DC law firm of Wiley, Rein & Fielding and clerked for two years in the chambers of the Honorable Lloyd D. George, US District Judge, District of Nevada. He holds a Juris Doctor degree from Columbia University School of Law and a Bachelor of Arts degree in English Literature from Brigham Young University. He speaks both Spanish and Russian and is an avid classical and jazz musician in his spare time. 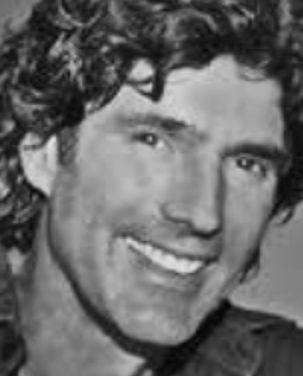 Bobby Williams has been in the world of health and wellness for over 30 years. He is a nutrition expert, world-class adventure-athlete, 16th place finisher in ‘92 Olympic trials for wrestling, stunt man, and actor. He has guided thousands of people through the wilderness in places such as the Sierra Nevada mountain range, the Grand Tetons and Yosemite Valley, inspiring those to connect with nature and ultimately themselves. Bobby is passionate about transforming the lives of others by improving their performance and overall wellbeing through connecting with nature, nutrition, healthy living and adventure. Copyright © 2018 MeasuredRisk, All Rights Reserved.